I spent much of Saturday getting the sidecar frame attached to the motorcycle subframe. Thank you to Dom for looking at the picture and giving me a little confidence as to what I was doing. This is a shot of the rear mount with the names of the parts. There are quite a few parts and the trick was to get everything level with the motorcycle at ride height. I measured the distance from the rear subframe mount to the floor while sitting on the bike to get a rough starting point. Then after putting the bike on the center stand, I measured the distance again. The difference is the amount I raised the sidecar wheel above the floor with wooden blocks. After a lot of dinking around with the pieces, I finally pushed the 70 degree clamp as far as it will go into the new rear crossmember to get the sidecar as close to the bike as possible. Then with the sidecar frame on jackstands, leveled the sidecar frame side to side, threaded the heim joint all the way into the 70 degree boss and adjusted the boss so that the heim joint is parallel to the ground. I then did the same with the front mount ensuring the sidecar frame is close to level front to back. Actually, I tilted it up a couple of degrees to account for the forks compressing. The rear strut was installed just to keep the bike from falling over when it was moved off of the center stand. At this point the body was placed back on the sidecar frame and the bike pushed off the center stand. 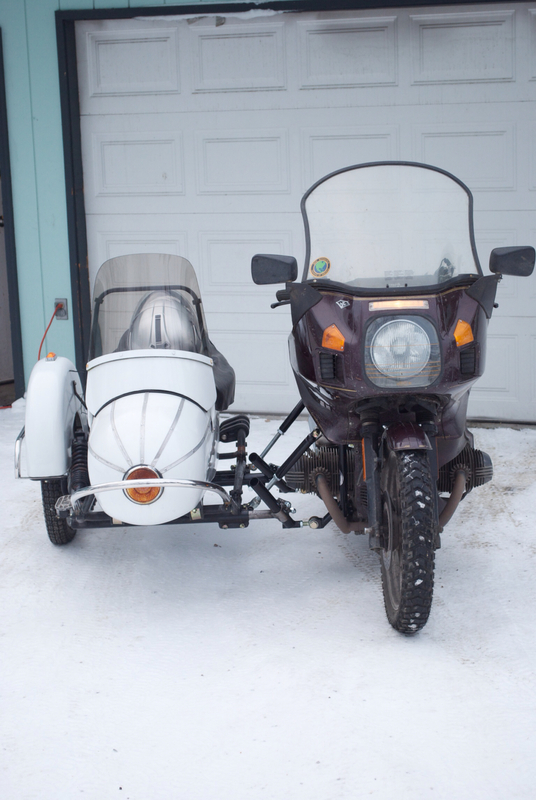 At this point, the sidecar was pretty close to level in both axis so my procedure seemed to work. A line was marked on the floor and the center of the bike tires were wheeled onto it. The sidecar book known as the "Yellow Book" by David Hough describes a procedure to set toe in using a straight edge set against the front and rear tire. This procedure won't work on my bike unless I made a spacer as the rear tire is wider than the front. I then placed a 2x4 against the sidecar wheel and measured the distance from the 2x4 and the line on the floor in front and behind the motorcycle. I adjusted the front sidecar mount to get the toe-in close to what I wanted then used the threaded front heim joint to get it exactly to 5/8" in. 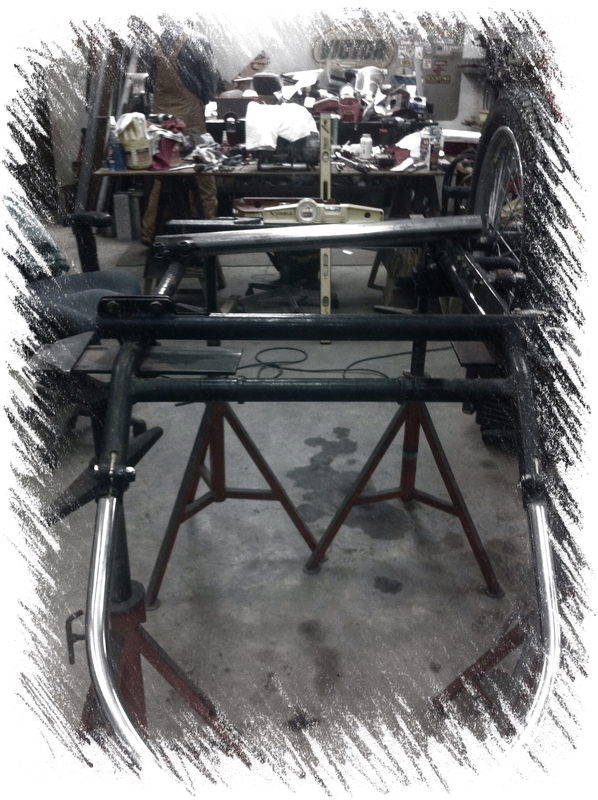 Once toe in was set, I bolted the body back onto the frame. I mentioned in an earlier post that I would be replacing the cracked rubber body mounts. This turned out to be challenging as they are pretty stiff rubber rings. I finally came up with a method using a turnbuckle and a chain to stretch the rings on one side so I could bolt up the other side. I then set the lean out of the motorcycle by adjusting the rear strut with the front one removed and putting an magnetic angle gauge on the rear disc. It is initially set to 2° lean out with me sitting on the bike. Finally tightened up all of the bolts and looked for the Ibuprofen. Too much bending and lifting for me. This morning seemed like a good day to take it out to see if it all works. This was taken while the engine was warming up but I didn't get much farther. The temperature has warmed up to 31°F and the driveway was pretty slippery. I made it within a couple of feet of the road but the driveway gets a little steeper at the very end. It felt weird to be backing down the driveway on a motorcycle. The rear tire (Shinko street tire) didn't have very good traction and would slide if you braked. The front (Heidenau K60) had pretty good traction and did a good job controlling speed and direction even while backing up. For this initial test, I used a car battery in the trunk and half a bag of this stuff used to clean up oil spills in the garage. quite a bit of weight. I still don't have the wiring done and now plan on borrowing a trailer to take the rig to a parking lot to see how it handles and learn how to turn. Especially turning right. With the ballast in the car, I can hang all my weight on the handlebars and the left peg completely off the bike and not be able to pick up the sidecar wheel. Even if I throw myself trying to pull it up, I can get it to bounce up maybe an inch off of the ground. I think that this may be a good starting place though I want to put the battery into something to prevent acid from getting on the paint. I was pleasantly surprised to see that I could still mount the right case to the bike and still be able to almost open it fully. We've began the slow procession towards summer now gaining approximately two minutes more daylight per day. Sunrise today was at 10:58am and was accompanied by some nice colors. This is the same Alaska Range view to the south that I've taken many times before taken just a few minutes before sunrise. the clouds. I really couldn't decide which of these I like better. 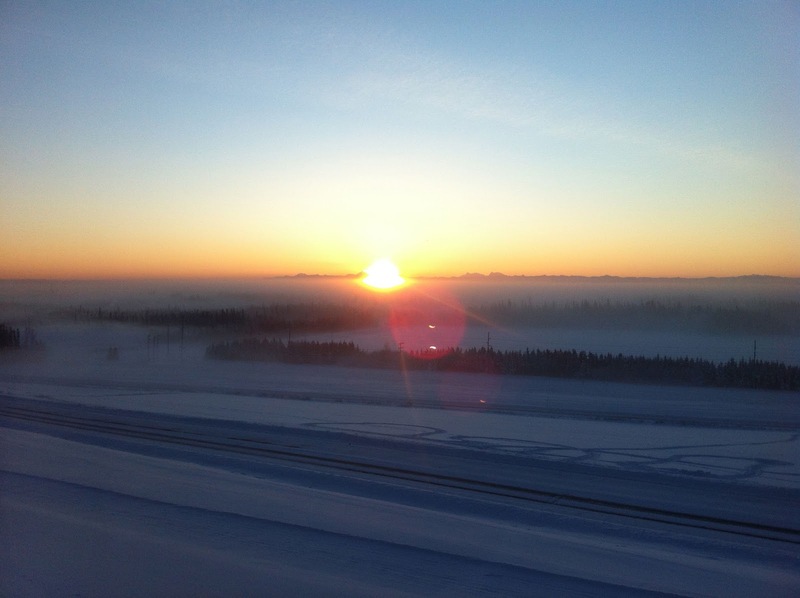 Fairbanks is enjoying a respite from the "bitterly cold" temperatures since Christmas Day when the temperature ventured above 0°F. This afternoon, Scott had some time and was willing to weld the crossmember into the sidecar frame. Scott is a Gold Wing rider who has gone on several of the summer rides with the church group and has ridden to MN several times over the years. 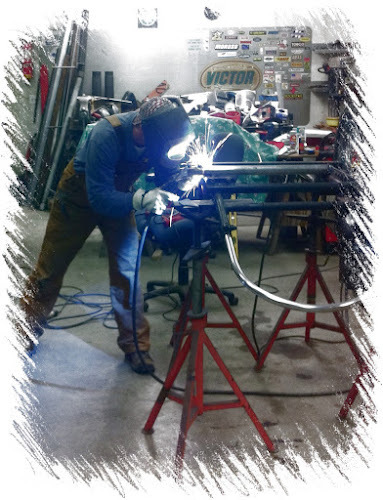 He is interested in the sidecar installation and generously volunteered to weld in the new crossmember. Here the frame is supported by stands in his shop while we tried to determine the best location for the crossmember. The sidecar frame is inverted at a convenient working height. Since the crossmember is being welded in, there was one chance to get it right. Fortunately, Scott is very meticulous and everything was measured several times. 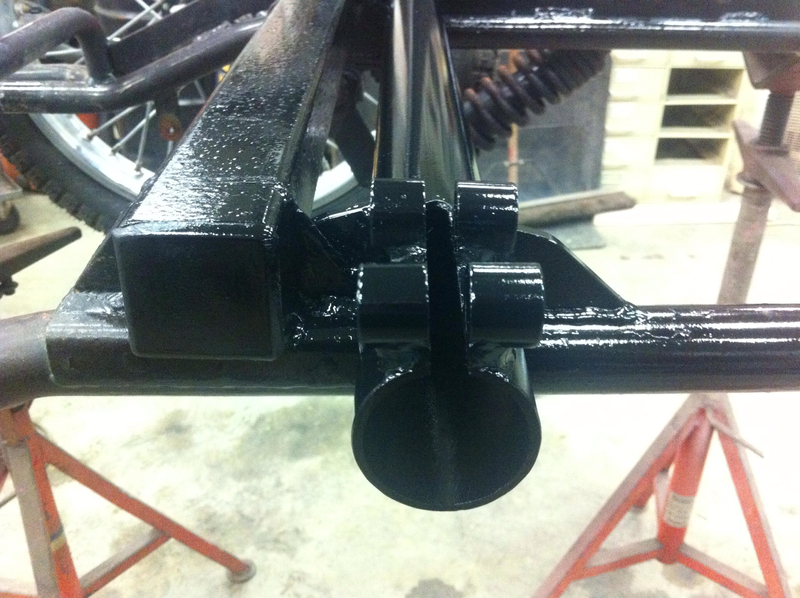 DMC had included several steel support pieces machined to fit against the round tube to provide additional support. 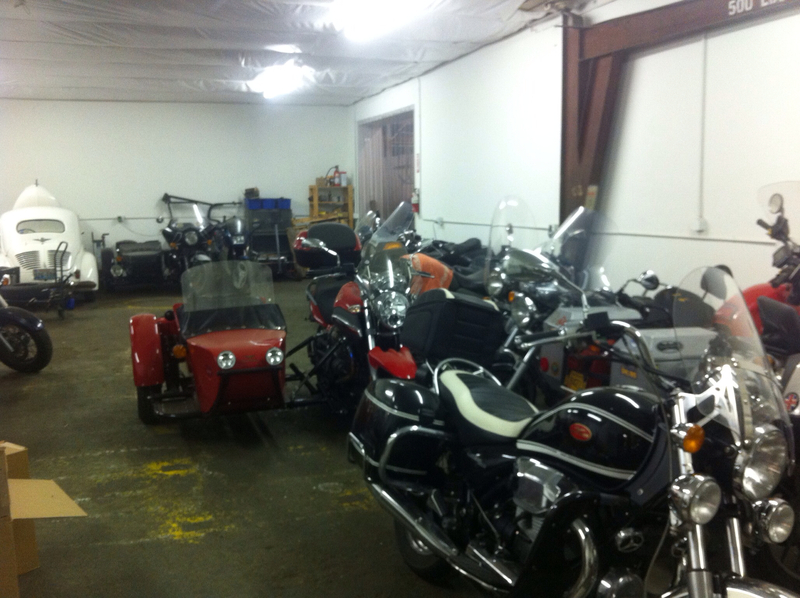 I believe that the crossmember on the motorcycle side sees more stress and needs additional support. Scott modified these pieces to fit, ground off the paint where the welds were going to go and used his heli-arc welder to tack everything in place. Once everything was measured again, he finished the welds. 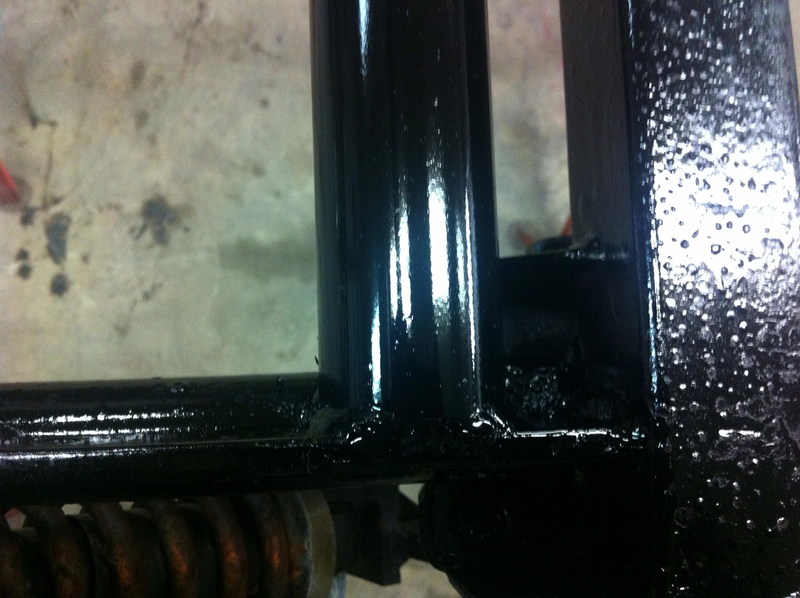 After cleaning up the welds, everything was sprayed with primer and gloss black paint. 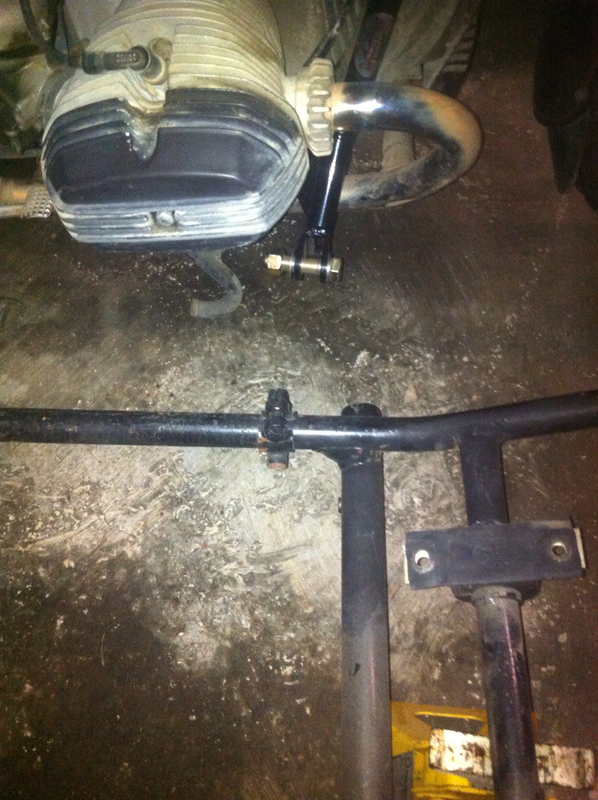 This is the new rear crossmember on the motorcycle side showing the additional support pieces. He is a real pro at this and the welds look fabulous with good penetration. We test fitted the DMC 70° mount to make sure the welds didn't distort the metal too much and everything fit together really well. 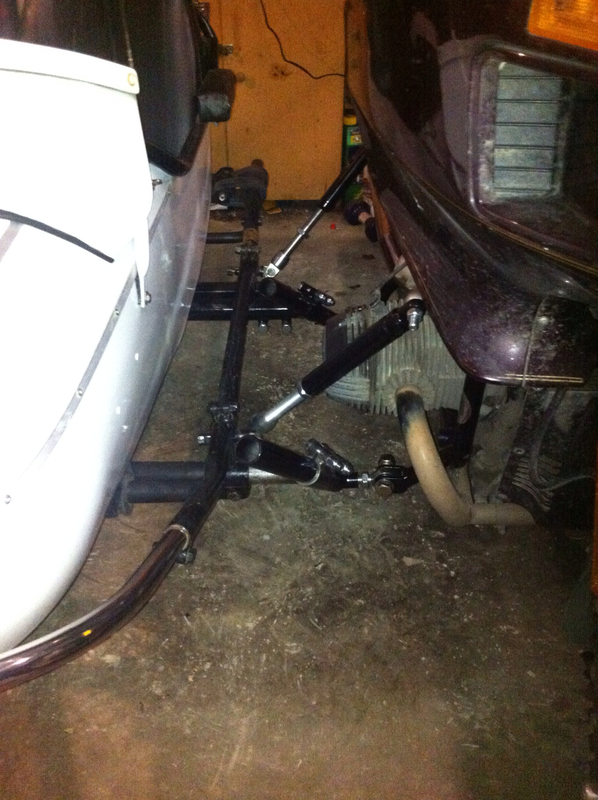 The square tube to the left of the new crossmember in this photo, supports the sidecar suspension. 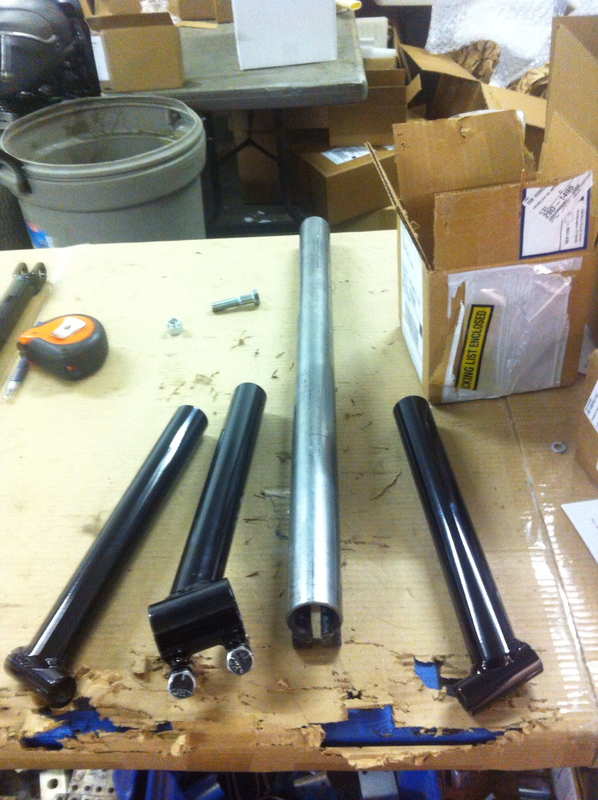 The new crossmember is attached to the square tube as well as the frame rails. 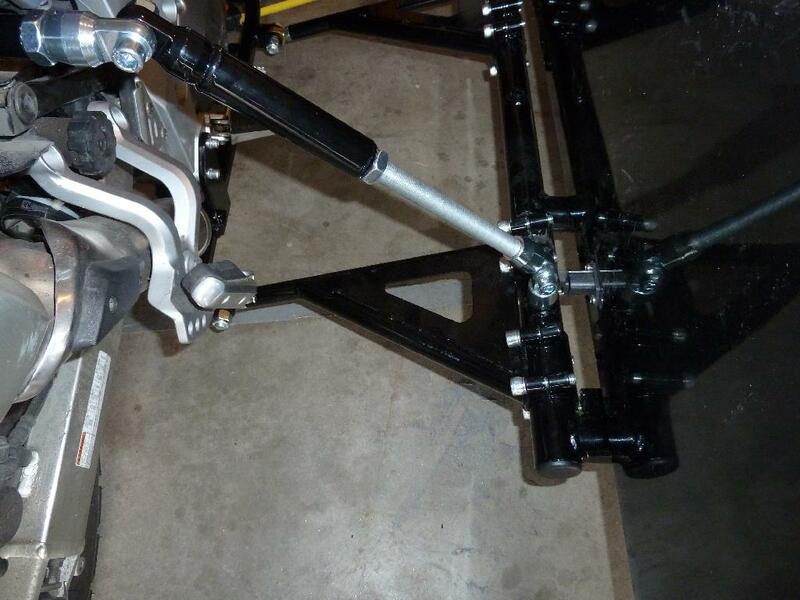 This is the opposite side of the new rear crossmember and it is welded to the existing frame rail support holding the lower sidecar suspension mount. It will take about a day for the paint to dry completely. 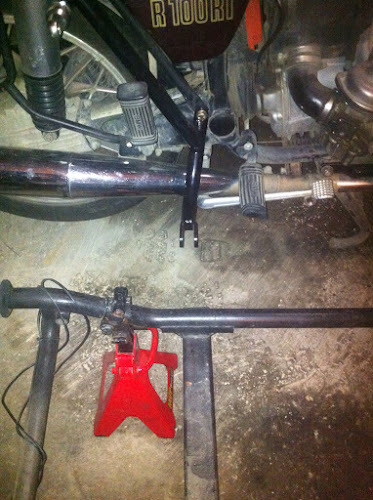 Tomorrow evening, I'll start the reassembly of the sidecar and attach it to the motorcycle mounts. Thank you Scott for sharing your excellent welding skills. Temperatures are still down in the -45°F range and the ice fog is getting even worse than it was on Monday. But it does make for some spectacular sunsets. This iPhone pano was taken through the window from my office building at abut 2:30 Thursday afternoon. 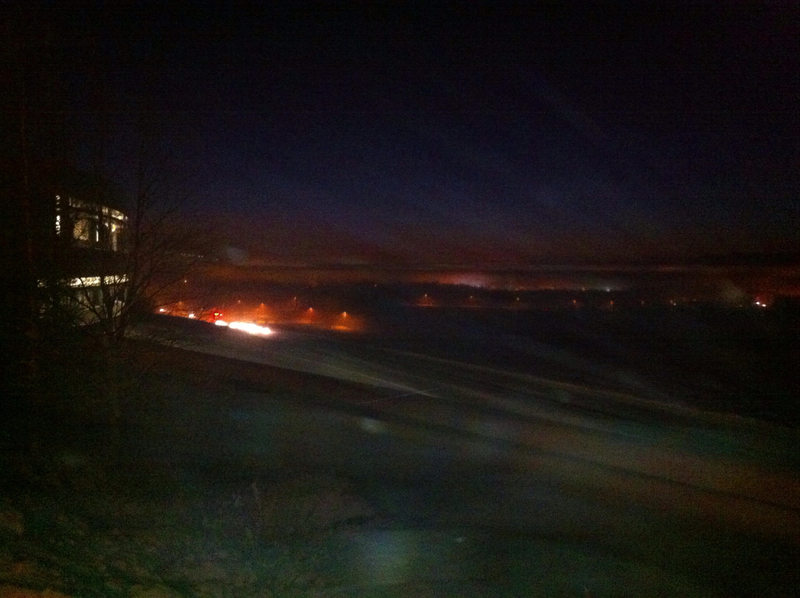 I must admit that I haven't gotten tired of the view though a little warmer would be fine. I have been using the borough bus as often as possible for my commute as I end up walking outside a minimum of 3¾ miles per day. Sunrise at 11:19am. It looks like it'll be a pretty nice day as long as you aren't stuck in the fog. If you compare this with the sunset photo above, you'll notice that there aren't too many degrees difference between the position of sunrise and sunset. They're both pretty close to south. I'm sure many of you have seen this graphic already but I really did get a kick out of it. Especially since there is no Saturday listed. But we're still around and for some, a little warmth would be appreciated. 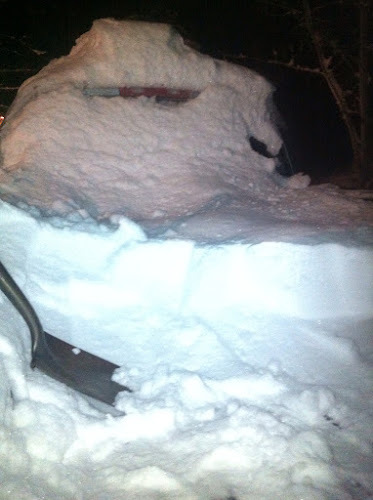 My "welcome back" to Fairbanks was over a foot of snow combined with what the National Weather Service called "bitter cold". Just while I was gone, the snow completely filled the back of the truck and needed to be shoveled out before we could haul trash. Even though I had the truck plugged in while I was gone, it was on a timer and the heaters (block heater, oil pan heater and two battery heaters) were only powered on about eight hours per day. Apparently not enough as the engine wouldn't even turn over let alone start. 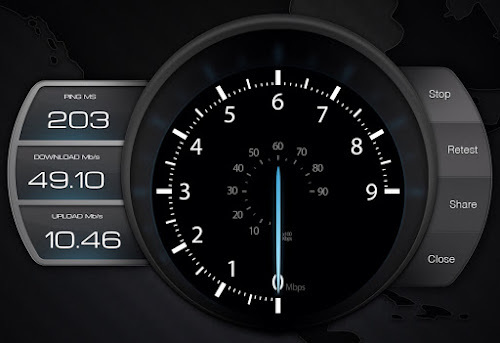 The timer is now bypassed until it warms up a bit. I'm not complaining about the snow as it's needed to provide insulation for the ground to prevent pipes from freezing. 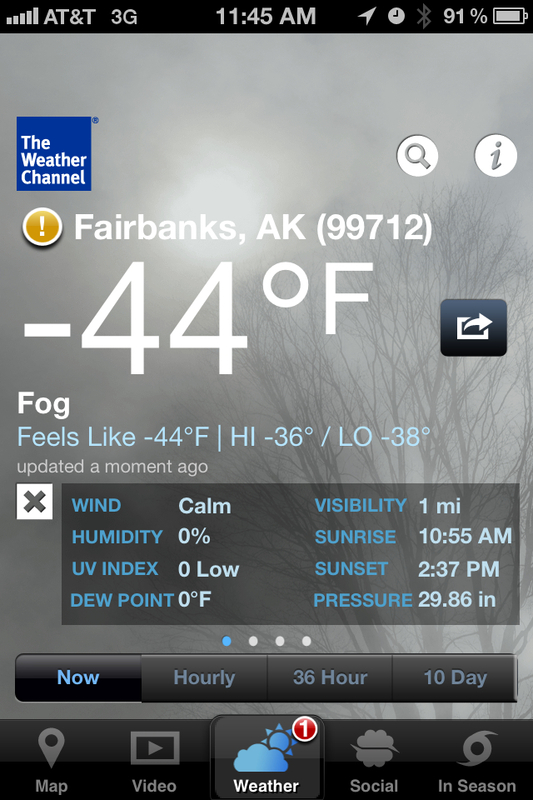 This is where the temperature has been sitting since Fairbanks got dumped on with snow. The fog is what is known as "ice fog" or ice forming around particles of smoke. This makes it really unhealthy if you breath it in. You are left with the particles of smoke in your lungs. The little orange exclamation point in the screen capture indicates a "Severe Air Quality Alert". 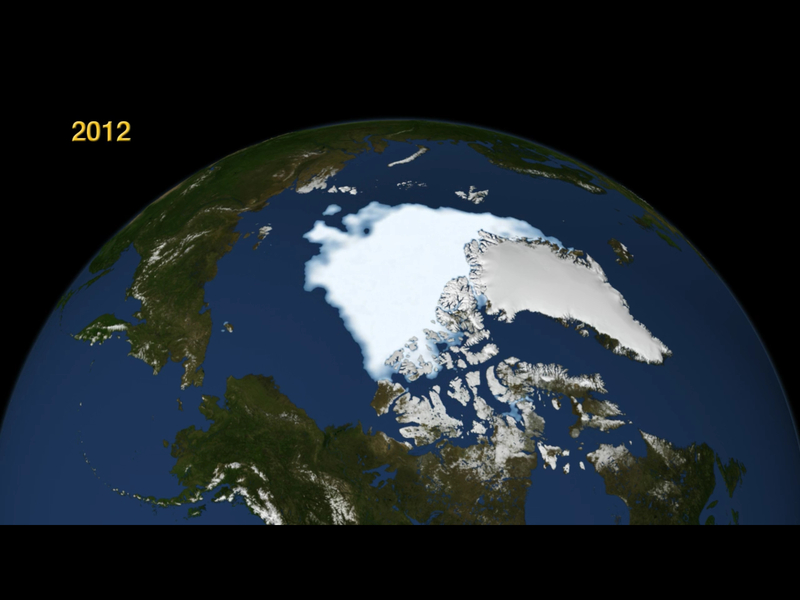 This is due to a temperature inversion. Usually, the higher up you are, the cooler the air is. That's why smoke rises. With an inversion, the colder is lower so the smoke goes down instead of up. This concentrates the smoke. So far, the only work on the sidecar has been moving the bike and the sidecar frame together to see where things line up. The front sidecar mount is only about two inches ahead of the front motorcycle mount. This results in 13.8% lead, i.e. 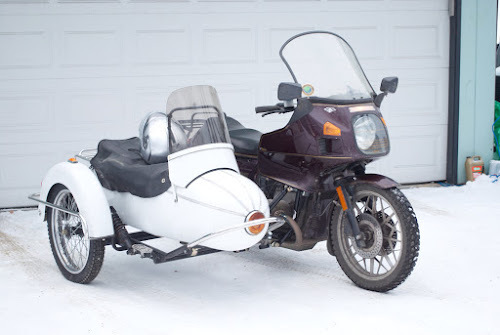 the amount that the axle for the sidecar is in front of the rear axle of the motorcycle. 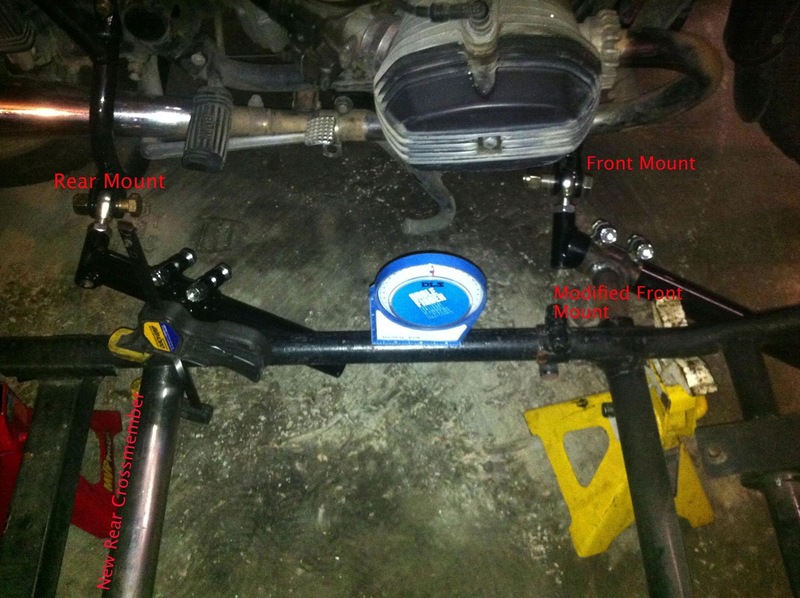 This will determine where to locate the new rear crossmember. I will be calling Jay at DMC tomorrow to find out if the rear sidecar mount needs to match the front mount. I.e. if the front sidecar mount is in ahead of the front motorcycle mount, should the rear sidecar mount also be ahead. My gut feeling is that having them spaced farther apart is better though it may make it more difficult to align. 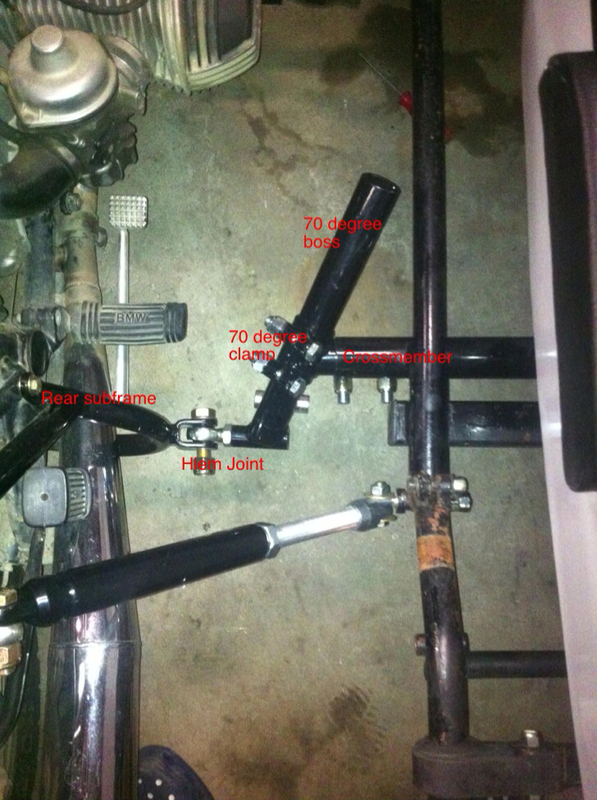 Only one of the upper struts can be reused so I will need to fabricate the second upper strut. Monday Morning Update - I just got off the phone with Jay at DMC and he says that it doesn't really matter. In that case, I will probably put it in front of the existing cross-member so I don't need to worry about clearance with the body. You may notice that the rear crossmember is dropped down for clearance. exhaust heading for the ground. 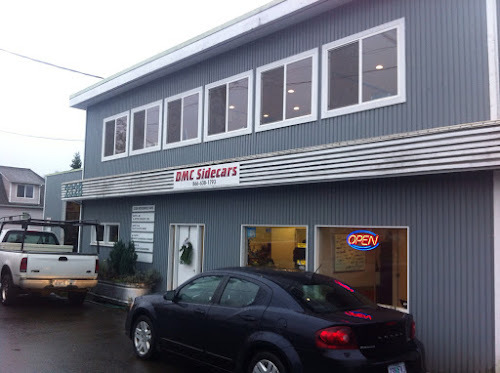 This morning, I stopped at Dauntless Motors aka DMC Sidecars, to pick up the modified front mount for the Cozy sidecar as well as a new rear crossmember. It was a very wet trip north from Corvallis OR, to Enumclaw, WA, with almost continuous rain. Jay was out running errands but his knowledgeable and helpful staff got my order together and gave me general instructions for welding in the new crossmember and getting everything lined up. There were a lot of bikes in the shop which I'm assuming were waiting for sidecar installation and a few looked to be ready for delivery. Through the doorway on the right is the machine shop where the fabrication is done. 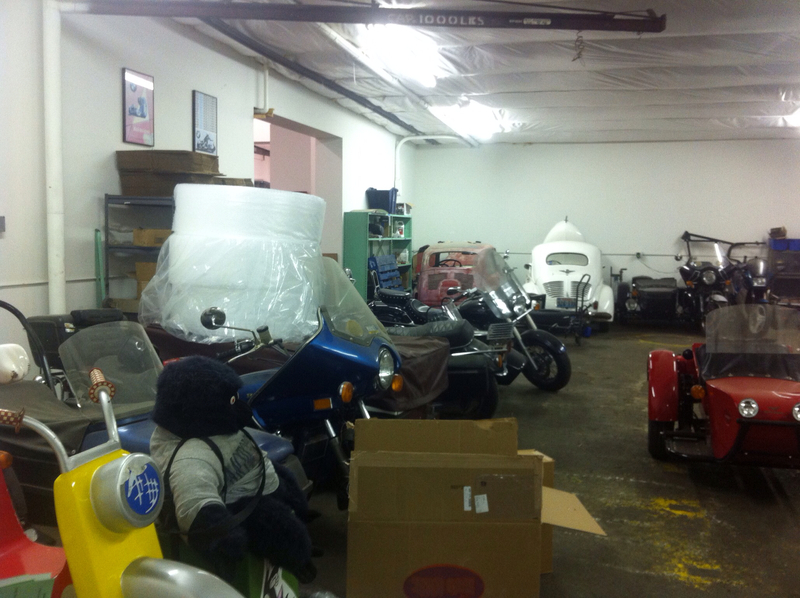 In the back of the shop were a couple of interesting looking cars. I didn't take time to look at what it was though the louvers suggest a rear engine. The yellow scooter looking object to my immediate left is a kids grocery store type scooter ride with a sidecar. I probably should've gotten a picture of that contraption. 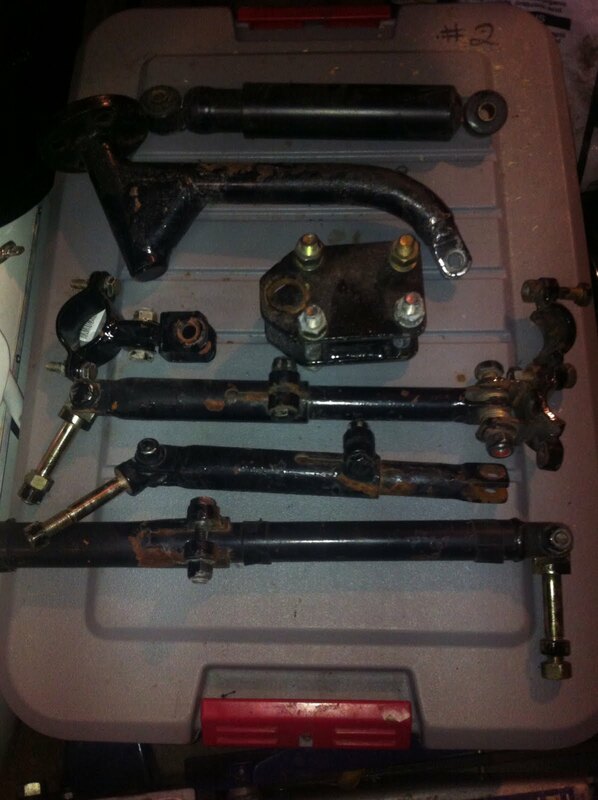 Here are most of the pieces of my order with the rear mount and the new crossmember in the center. They are flanked by the two identical 70° bosses that connect the sidecar lower mounts to the lower mounts already installed on the bike. The modified Cozy mount was already sitting in the box. The parts are all very well finished. General directions were 10-15% lead and with my airhead, he recommended closer to 15% of the bike wheelbase since my airhead is a relatively light bike (according to him!). Lead is the amount the sidecar axle is in front of the bike's rear axle. More lead helps keep the rear end planted on left turns. Torque on all of the pinch bolts is 80 ft-lbs. A bit more than I would have guessed. Toe in should be about 5/8" to start. For our weather, he recommended I look at some of the soft rubber compound trials tires since they are readily available in the 4.00-18 size my bike uses. The disadvantage is the soft rubber wears faster. He also suggested that I start with a fair amount of ballast in the sidecar and explained a technique on how to determine if there isn't enough. Turn the bars to the right, stand on the left peg and try to lift the sidecar. It shouldn't come up much more than a few inches. He also suggested playing with the distance between the sidecar and the bike. He prefers it close but due to the light weight of the sidecar, more may be better. Like I said, very general directions. Now all of this stuff is packed in my checked baggage as I sit in the Seattle airport for my flight home. This is an example of lack of planning on my part. DMC is in Enumclaw, WA, just outside of Tacoma, WA. I should have just flown out of SEATAC just a few more miles north but, no, I ended up driving back to Portland, OR, to catch my flight to SEATAC. After five days in San Francisco attending the Fall AGU Meeting in Moscone Center, I was feeling pretty burnt out. I headed for the airport on BART and boarded the wrong train. I wasn't really paying attention to anything until I noticed that we were zipping past the airport. It was a simple matter of turning around at the next stop then switching trains again at the next stop. There were about a dozen of us out-of-towners going through this exercise and it probably added fifteen minutes to the trip. I flew up to Portland, rented a car and headed down to Corvallis to visit family for a couple of days. Since I had met Troubadour, Trobairitz and thier riding group before, I knew where they would be on Saturday morning. It was wonderful to visit with them again their very entertaining friends as well. They made me immediately feel welcome and part of the group. I went out walking again this evening while looking for somewhere interesting for dinner. 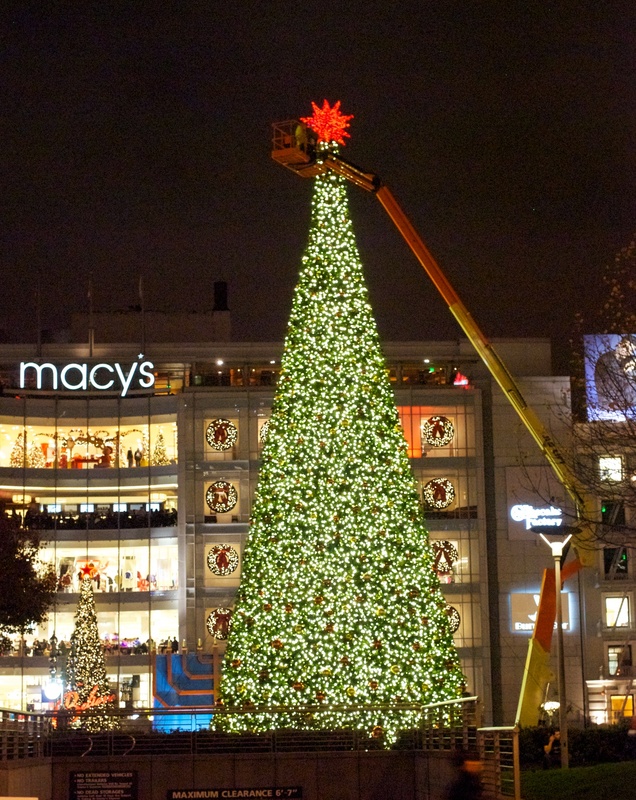 Here is a view from the other side of the Union Square Christmas tree and you can see the decorated windows of Macy's in the background. I'm not sure what the bucket truck is doing but it was there a couple of days ago as well. Maybe a bulb is burned out on the star and its taking them a long time to identify it. This picture is from the same vantage point of the one above showing the decorated palm trees at one of the entrances to the square. Lots of noise in this area as there are a number of percussionists performing their art on five gallon plastic buckets. I had another OSPA session to attend early this morning as judge. It was just one of a whole series of presentations on a common topic which turned out to be so interesting that I ended up staying for the entire block. I guess I'm more than a little interested in ice studies no matter which pole the work is being done. When I initially moved to Alaska, it was as a physics grad student and one of the areas I considered studying was sea ice. This mornings talks were on the formation and physical properties of sea ice and one of them dealt with the impact of snow cover. Snow is a pretty efffective insulator and is much more reflective than melt ponds in the spring. All good stuff. The afternoon was spent meeting with several folks on IT issues in Barrow and really enjoyed seeing them again. The last time I've met a couple of them was at the Polar Technology Conference a year and a half ago. I really enjoyed it the last time I attended it in 2011 but unfortunately, I won't be able to attend again next year. The week is winding down and tomorrow mid-morning, I head north to Oregon. 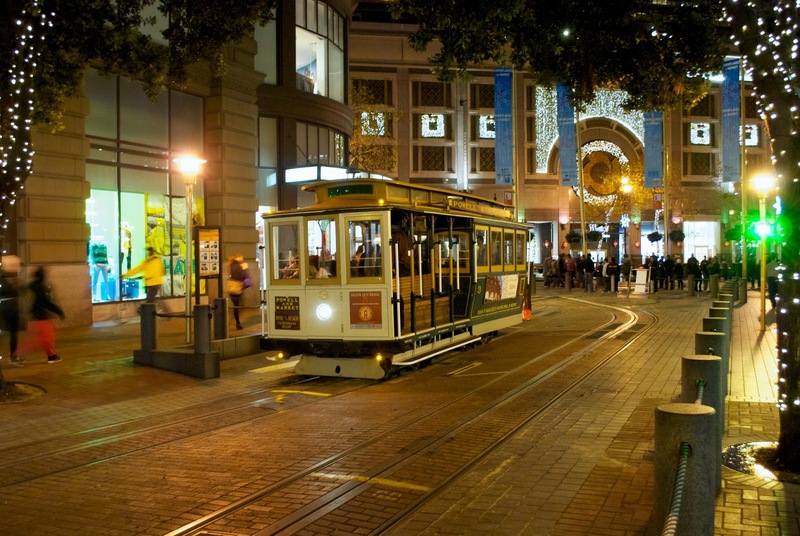 So this will be the last San Francisco - AGU post this year. No food photos this evening as I just had stir fried noodles with veggies. Nothing exciting at all. 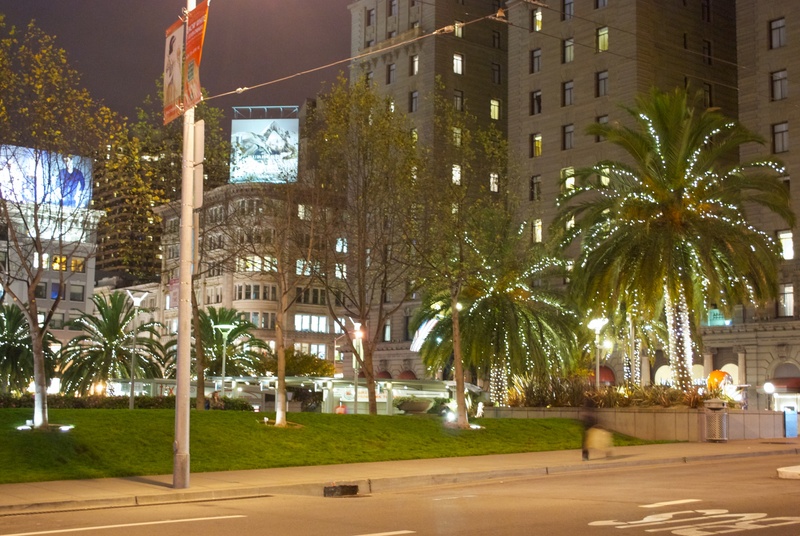 I finally managed to get up Powell Street to Union Square to get a photo the the Christmas tree. I always want to take pictures of the cable cars maybe because it is uniquely San Francisco more than just about anything else. I didn't have a tripod so these are just hand held photos and required a lot of post processing (I use Aperture) to adjust white balance, contrast and exposure. It was just starting to rain so I took off in search of dinner. Today started with a brief rain shower, just enough to get things wet and slippery. There is still way too much traffic for me and the sidewalks are very crowded. I still don't see how folks can deal with this on a day to day basis. The morning was spent at poster sessions in the south hall visiting with researchers working in Barrow. I was trying to get an idea of their expectations, some understanding of their work and what they have planned for the near future. The afternoon was be spent judging a couple more student presentations as part of the OSPA (Outstanding Student Paper Award). In an effort to include more pictures, today's dinner was at an Italian restaurant. The meal started out with a delicious beet salad followed by pasta and brussel sprouts. Yet again, another wonderful meal here in the city that is known for great food. If the food's bad, the place would never survive all the competition. 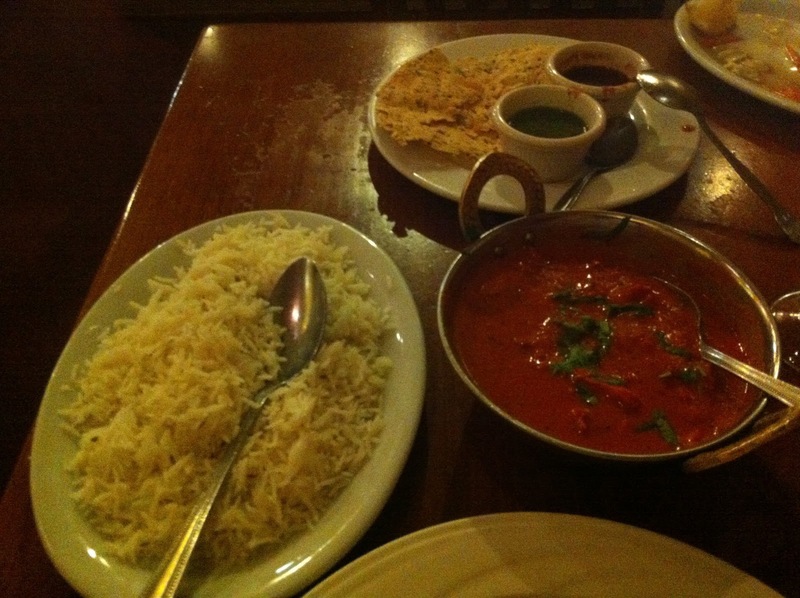 I was tempted to just go back to one of the Indian restaurants but felt obligated to try some of the other places around the hotel. AGU had a pile of free pedometers on the first day so I grabbed one as a better way of keeping track of my walking during the meeting. Using the iPhone tends to run the battery down. Today, I walked 48,752 steps which translates to about 22½ miles in 13 hours. Even for me, that's a lot of walking and I'm pretty exhausted. Since I arrived in San Francisco, I have been using the Verizon 4G cellular data service (aka LTE) on my iPad as the wireless network in the hotel and the Moscone Center have been almost useless. As you can see in my SpeedTest screen capture, the performance is nothing short of phenomenal and they allow you to tether to my laptop without an additional fee unlike AT&T. Verizon still isn't available in Alaska until sometime next year so until then, so I'll only be able to use their service when I travel. Fortunately, Verizon lets you purchase it month to month and cancel anytime you want without penalty. 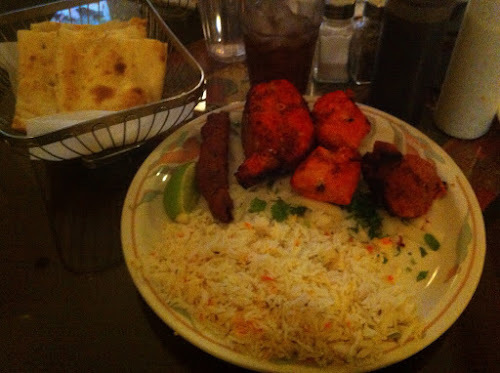 Todays dinner was the tandori mixed grill at a Indian-Pakistani restaurant near the hotel. The lamb and chicken were pretty good though the fish didn't translate very well to this recipe or cooking method. There was way too much food for me as I only managed about half of the serving. Too bad there isn't a fridge in the room. One more thing. 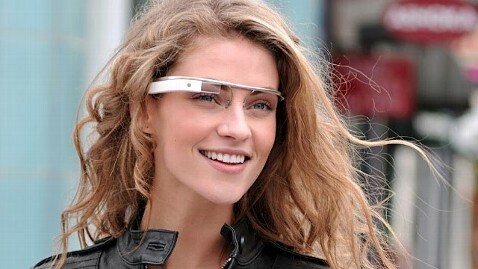 On the flight between Seattle and San Francisco, the person sitting next to me was wearing what I would guess to be a prototype of Google glasses. It looked just like the one in this photo except the frame was black. There was a little retangular screen and a camera next to his right eye. He quickly took them off and stuffed it into his messenger bag while sitting down. He just said that it was a miniature computer screen but wouldn't show it to me or tell me anymore about it. I think that it was tethered to his android phone as he also had an iPhone 5 that he was using for standard smartphone activities such as Facebook, texting and email. That was the temperature difference between when I left Fairbanks this morning (-35°F) and arriving in San Francisco this evening (+60°F). This is a shot of sunrise from the Alaska Airlines flight this morning about 30 minutes out of Fairbanks. The airline must have wanted to give me extra time to acclimate to the temperature change as we had to sit on the plane, at the gate for almost an hour in Seattle before we were allowed to leave. Some sort of problem in San Francisco. I am down here for the Fall AGU meeting as I have done for the previous 6-7 years. It is a pretty large conference and the best part is that it does not have anything to do with IT (Information Technology). 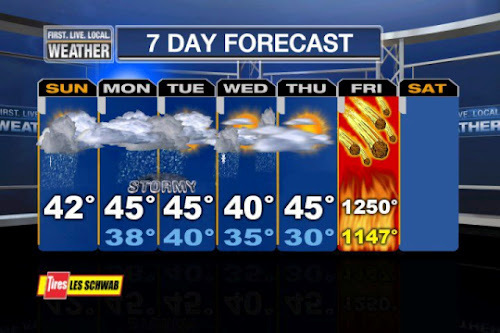 I will be here for most of the week before heading north to Portland, OR, on Friday. I had reserved what can best be described as a "sketchy" hotel. It is right on the border with the region of town knows as the Tenderloin and many of the hotel.com ratings weren't very favorable. So far, I am quite satisfied with the room as it typical of a clean, older hotel and there are two Indian restaurants across the street. I had saag gosht and garlic naan for dinner. It was wonderful and I was well into it before I thought about a picture. For the next couple of days, I had scheduled myself to judge student presentations in a variety of fields. I am not to judge on content but the presentation itself. I selected a wide variety of focus areas as I still really enjoy learning something new. 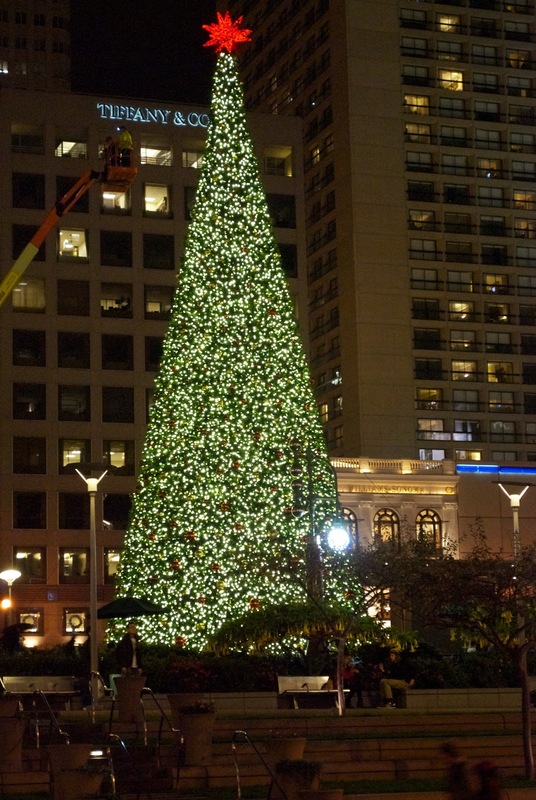 I will try and post some other photos as San Francisco is all decked out for the holiday season and I'm only a couple of blocks from Union Square and their huge Christmas tree. Monday Afternoon - It has gotten even colder in Fairbanks since I had left as it was -38°F this morning, or so says Yahoo! weather. There was a fair amount of noise from the street but that would be the case for just about any old hotel in San Francisco. With the new ones, you are so far from the street with high ceilings and multiple floors of meeting rooms and halls, that you are pretty isolated.